Gov. Rick Scott meets with officials in Marathon, Fla. on Sept. 22, 2017. Scott issued the executive order for all 67 counties to help accommodate people who relocate to Florida due to Hurricane Maria. 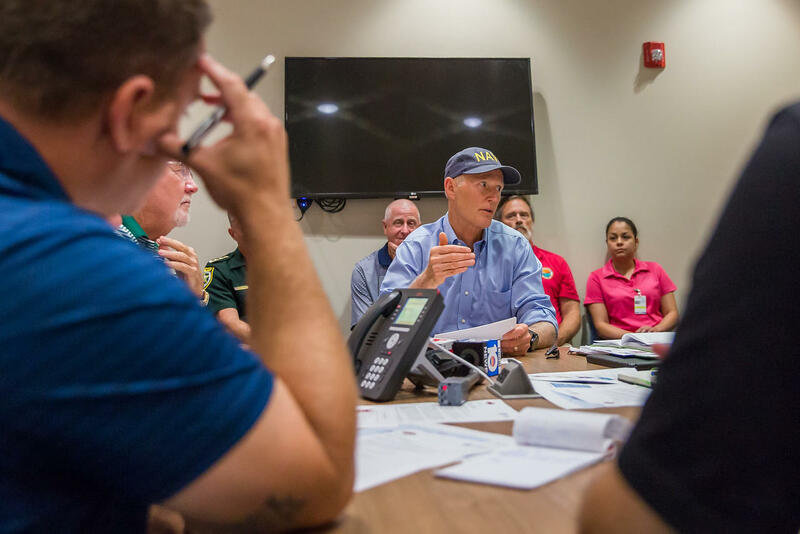 “With families displaced by Hurricane Maria already present and still arriving in Florida, it is critical that our state is prepared to provide the resources they need upon entering our state,” Scott said in a statement. The executive order includes a series of steps to help prepare for an influx of people from the U.S. territory. For example, it allows the suspension of state laws, rules and orders that could be tied to the emergency and designates Wesley Maul, interim executive director of the Florida Division of Emergency Management, as coordinator of the state's response to the crisis. Also, it directs that public shelters be made available at the request of local emergency-management officials and allows pharmacists to dispense up to 30-day emergency supplies of prescriptions to evacuees. The order allows “sufficient funds' be made available from unappropriated surplus funds and the state's Budget Stabilization Fund. It also bars businesses from selling or renting “at an unconscionable price” supplies, equipment or provisions related to the emergency. The declaration came as Florida lawmakers continued to push for more federal assistance for Puerto Rico and as Scott said Florida is ready to send relief in the form of the National Guard and supplies. Meanwhile, the state plans Tuesday to open disaster-relief centers at Orlando International Airport, Miami International Airport and PortMiami to assist displaced Puerto Ricans. “The crisis in Puerto Rico is unlike anything we have seen before, and Florida is going to do everything in our power to help everyone impacted by this storm get back on their feet,” Scott said in a prepared statement Sunday. Scott traveled to San Juan on Thursday and on Friday said he discussed what he saw --- “complete and total devastation” from Hurricane Maria --- during lunch at the White House with President Donald Trump. Meanwhile, state Rep. Carlos Guillermo Smith, D-Orlando, said the Legislature should hold a special session, as he estimates hundreds of thousands of Puerto Ricans are coming to Florida. The 2018 regular session starts in January. “FL needs 2 deal w/humanitarian crisis + over 100K Boricuas who'll seek refuge here right now, not in Jan.,” Smith tweeted. U.S. Sen. Marco Rubio, appearing Sunday on “Face the Nation,” said signs of progress are being made. Before Army Lt. Gen. Jeff Buchanan arrived Thursday in Puerto Rico, Rubio had written to Trump about a need for a clear command structure for the relief effort. Rubio said the next critical measure that needs to be addressed are hospitals and making sure they have enough fuel to continue operating generators. 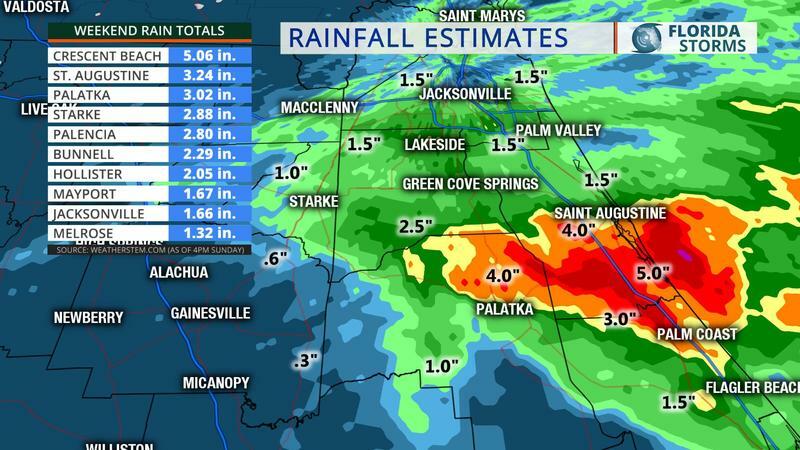 Beaches in northeast Florida took a beating this weekend.Tropical storm force wind gusts and waves 6 to 10 feet pounded the First Coast for more than 36 hours, and many areas near the Palm Coast have received between 3 and 5 inches since Friday. 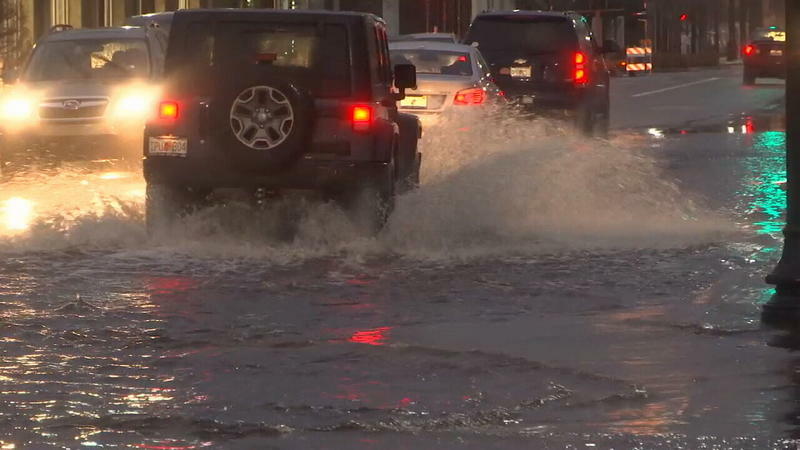 The nor'easter brought heavy rain and flooding to parts of the First Coast on Sunday, with some roads in San Marco barely passable.